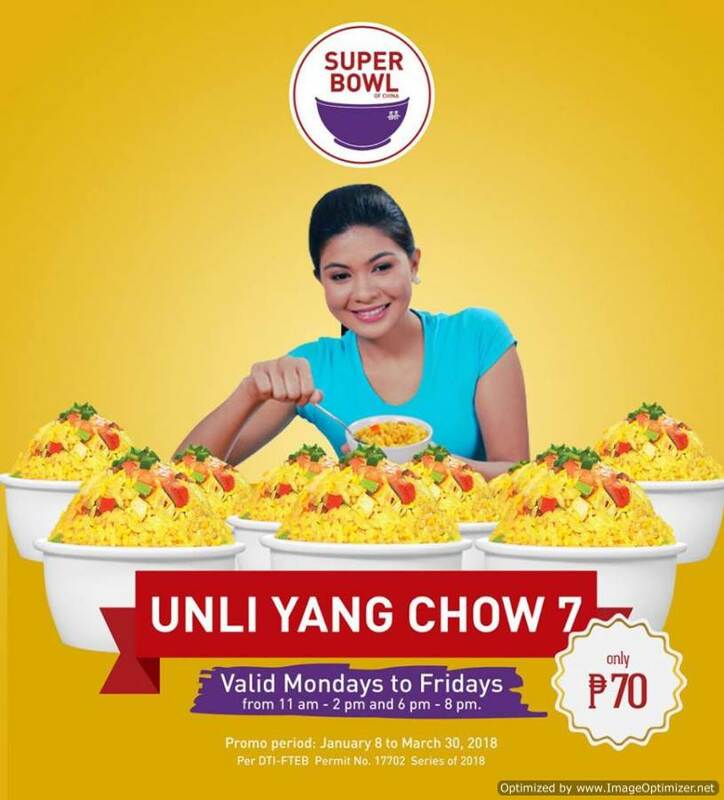 Tame your tummies with UNLI Yang Chow Promo at Super Bowl of China. Craving for unli fried rice but tight on budget? Try the UNLI Yang Chow Promo at Super Bowl of China to delight both your belly and wallet. The crowd’s favorite promo is here once again- for the 7th time. Enjoy unlimited servings of Yang Chow for only Php70! You can have endless refills of your favored fried rice while savoring it with Super Bowl’s other mouthwatering dishes- from pork and chicken cuisines to dimsum. What is best about the all you can eat yang chow promo? The offer is available during the peak dining hours – lunch and dinner time. It is valid Mondays to Fridays from 11:00 AM to 2:00 PM AND 6:00 PM to 8:00 PM. 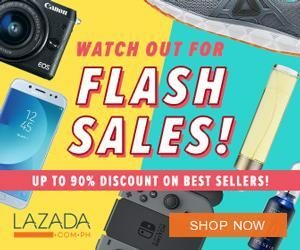 This is a pretty good steal that worth sharing. So head on to the nearest Super Bowl branch until March 30, 2018 for this awesome treat. What makes Super Bowl of China’s Yang Chow tempting and irresistible is the slightly toasty flavor of the rice that is mixed with diced sausages, bits of pork barbecue or asado, green onions, peas, carrots, and shrimp. This alone is already filling and flavorful on its own. You do not need any dish to complete the meal. Click HERE for the full list of Super Bowl of China branches..